The story of David, King of the Jews, is widely known. One does not have to be religious to have heard that the shepherd boy David slew Goliath with his slingshot when none of the soldiers were willing to accept the risk of fighting him. That story has become part of our cultural consciousness in much the same way as the Greek and Roman myths and legends. It is so ubiquitous that my granddaughter has a book of stickers, “The Story of David,” that features the story of how David knocked a smiling Goliath to the ground and won the battle. No indication of actual violence or death in that act portrayed in a child’s book. “Goliath” has come to mean a monster or giant while a “David” is a decided underdog. Geraldine Brooks has worked her magic and brought to life the legendary David, boy and man, warts and all. His story, told in I and II Chronicles, may well be the earliest and most complete biography of a historical person. There David’s life is told through the eyes of Samuel the seer, Nathan the prophet, and Gad the seer. Brooks chooses to employ Nathan (spelled Natan in the novel), the closest advisor and friend to David, as the storyteller. Her David is no cardboard hero or villain; he is a man in full. He was a man who rose to power and maintained it according to his motto of doing whatever is necessary. Brooks looks at this old story and makes it new through her use of modern language that still captures the spirit and flow of the original chronicle and time. She knows how to set the scene with a bit of information that the reader recognizes as vital, but she does not tell the whole story at that moment. For example, David’s seduction of Bathsheba is given passing mention early on then seems to have been forgotten in Brooks’ narrative. This plot line returns later when she discovers her pregnancy although her beloved husband Uriah, a key general in David’s army, has been away at war. Brooks skillfully recounts David’s efforts to bring him home and ensure that Uriah sleeps with his wife, but his plans go awry because Uriah is a highly moral man. David, as we know from the traditional story, sends Uriah to the front and ensures that he is killed. All sides of David are accounted for in this masterful retelling. 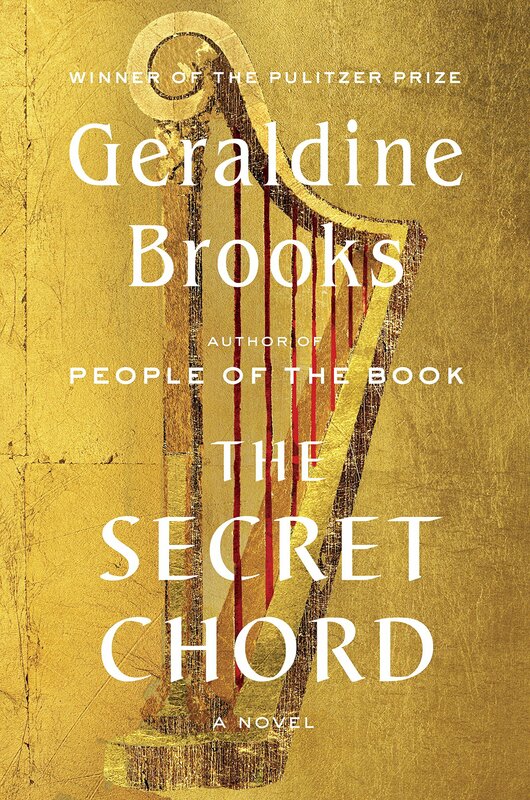 Brooks transforms the bare bones of history into a compelling, seemingly accurate fictional biography of one of the ancient world s most interesting characters. All the elements of his character exist in the record and in the novel. David was heroic and petty. He was a sensualist and a fierce fighter, a great musician and a great leader. Brooks weaves these facts into a story that captures what we can only imagine the true spirit of David to be. He was a powerful king who excelled at political machinations, but was still a lonely shepherd boy at heart. He was a vicious, cruel, heartless warrior who played the harp with unbridled sensitivity. He loved his wives but was willing to take another for political purposes. 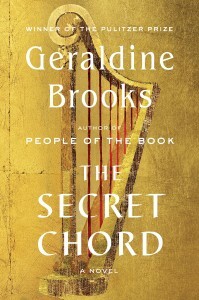 The Secret Chord shows once again that Brooks has an uncanny ability to transform dry history into spell-binding fiction. Her previous novels, including Year of Wonders and March, confirm her rightful place among a precious few authors who can make history come alive and lead one back to further study in original sources. Once again she has taken the bare strings of historical information and woven whole cloth. One wishes that such vibrant accounts were available to students in order to pique their interest in studying history.